Traffic officers, firefighters, emergency medical staff, construction workers, miners, in fact, anyone who needs to be seen, are vulnerable if they are not clearly visible in all light conditions. Daytime visibility – brightly coloured hi-vis dayglo yellow or orange fluorescent fabrics or trims. Effective only in bright light. 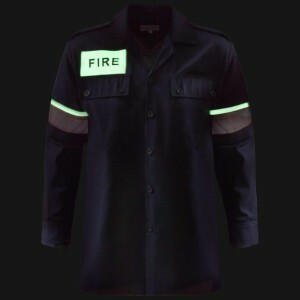 Night time visibility – retro-reflective tape which reflects light back to the source e.g. cars headlights or a flashlight. Needs a light source from the right direction to be effective. The problem is that neither of the above work at all in total darkness or, for example, where a vehicle approaches a roadblock or accident scene without its headlights on. Introducing Lumi-viz®, a unique luminous tape that absorbs light from the sun, daylight or even normal home or office lighting. This absorbed light is given off for up to 10 hours making the wearer visible even in total darkness. Sparks & Ellis, one of South Africa’s leading uniform suppliers, are at the forefront of this new technology which offers a whole new level of safety for your workforce. Sparks & Ellis has developed this tape in order to provide extra safety for people who need to be seen in all light conditions. Lumi-viz™ tape can be stitched onto garments during manufacture and can be used as a background fabric for badges. 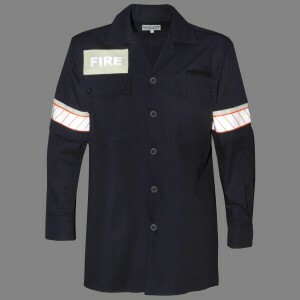 It is a highly effective and affordable way of improving safety of your protective clothing.